The most impressive addition to our Jungle Play Tower range by far is our Jumbo Jungle Play Tower. 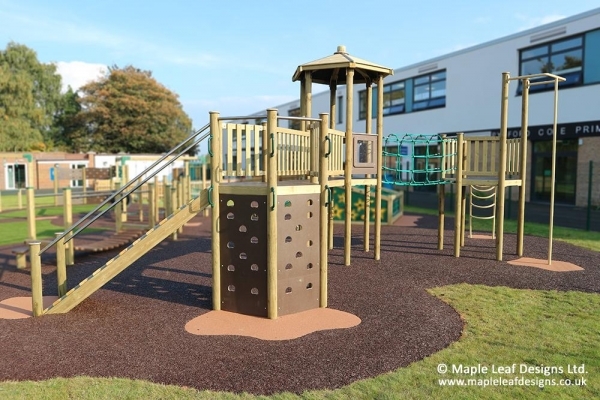 Consisting of three round-timber hexagonal towers with hexadeck flooring, this gargantuan tower is strung together with a suspension bridge and play tunnel, and accessorised with vertical climb walls, a ramp, a climbing net, an arch climber and a fireman’s pole as standard. As with all of our towers the layout and components can be altered to suit your needs.